A Medicare supplement (Medigap) insurance, sold by private companies, can help pay some of the health care costs that Original Medicare doesn't cover, like copayments, coinsurance, and deductibles. 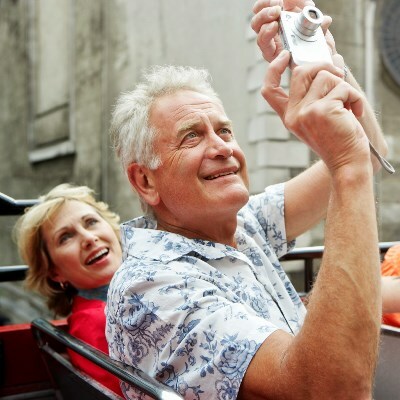 Some Medigap policies also offer coverage for services that Original Medicare doesn't cover, like medical care when you travel outside the U.S. If you have Original Medicare and you buy a Medigap policy, Medicare will pay its share of the Medicare-approved amount for covered health care costs. Then your Medigap policy pays its share. 1. You must have Medicare Part A and Part B. 2. If you have a Medicare Advantage Plan, you can apply for a Medigap policy, but make sure you can leave the Medicare Advantage Plan before your Medigap policy begins. 3. You pay the private insurance company a monthly premium for your Medigap policy in addition to the monthly Part B premium that you pay to Medicare. 4. A Medigap policy only covers one person. If you and your spouse both want Medigap coverage, you'll each have to buy separate policies. 5. You can buy a Medigap policy from any insurance company that's licensed in your state to sell one. 6. Any standardized Medigap policy is guaranteed renewable even if you have health problems. This means the insurance company can't cancel your Medigap policy as long as you pay the premium. 7. Some Medigap policies sold in the past cover prescription drugs, but Medigap policies sold after January 1, 2006 aren't allowed to include prescription drug coverage. If you want prescription drug coverage, you can join a Medicare Prescription Drug Plan (Part D). 8. It's illegal for anyone to sell you a Medigap policy if you have a Medicare Medical Savings Account (MSA) Plan. Medigap policies generally don't cover long-term care, vision or dental care, hearing aids, eyeglasses, or private-duty nursing. If you decide to drop the entire Medigap policy, you need to be careful about the timing. For example, you may want a completely different Medigap policy (not just your old Medigap policy without the prescription drug coverage), or you might decide to switch to a Medicare Advantage Plan that offers prescription drug coverage. If you drop your entire Medigap policy and the drug coverage wasn't creditable or you go more than 63 days before your new Medicare coverage begins, you have to pay a late enrollment penalty for your Medicare Prescription Drug Plan, if you choose to join one.